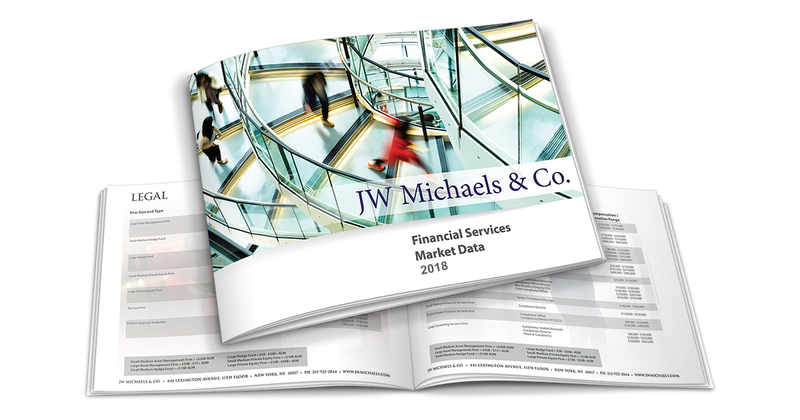 Posts tagged "market data report"
The JW Michaels & Co Financial Services Market Data Report 2018 is now available. The data appearing in this compensation report were collected by comparing invoiced placements made by JW Michaels during 2018. The report presents compensations grouped by size and type of firm as well as by job title. 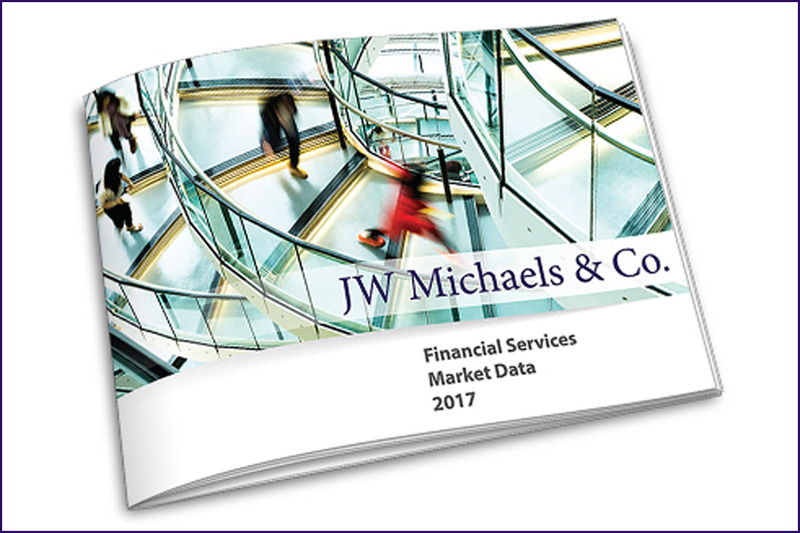 The JW Michaels & Co Financial Services Market Data Report 2017 is now available. The data appearing in this compensation report were collected by comparing invoiced placements made by JW Michaels during 2017. The report presents compensations grouped by size and type of firm as well as by job title. JW Michaels & Co. is an executive search firm dedicated to serving the specialized recruiting needs of top-tier financial services, legal, technology and business institutions. Crain’s NY Business consistently ranks JW Michaels in the top 10 Executive Recruiting Firms – with good reason. We get results. JW Michaels is headquartered in New York City, with teams based in Atlanta, Chicago, Denver, Greenville, and Houston. © 2018 JW Michaels & Co. All Rights Reserved.